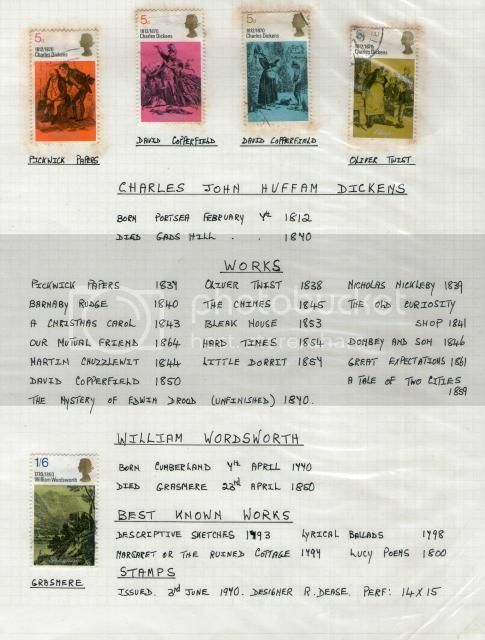 In 1965 the US issued a large set of stamps celebrating prominent Americans. Here is SG 1277, showing the dramatist Eugene O'Neill (1888-1953), whose plays included Mourning Becomes Electra, The Iceman Cometh, and Long Day's Journey Into Night. The last of these won a posthumous Pulitzer Prize in 1957. 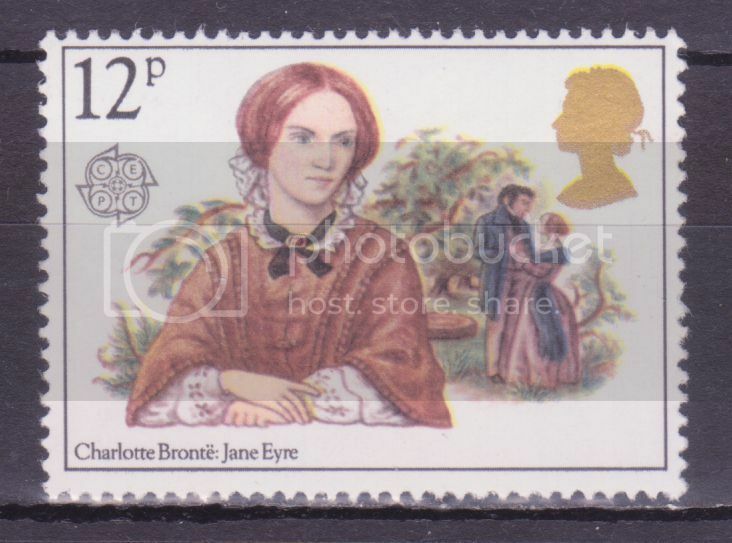 From a GB 1980 set of authoresses, Charlotte Bronte (SG 601), who is most famous for Jane Eyre. Oscar Wilde on an Irish stamp of 2000. This is something of a curiosity. 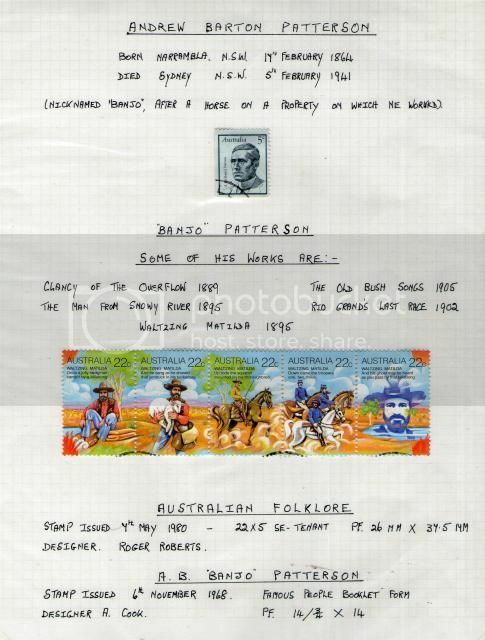 Printed by an Australian firm, it was sold in sheets of 20 for £10, above face value. It is a variation on an official Irish postage stamp which was in the shape of a vertical rectangle rather than a square, and Stanley Gibbons regard it as a cinderella. Note the faint "Oscar" on the blue label to the right of the stamp itself: people could order sheets with this replaced with a photograph of their choice. This year Ireland issued a stamp in honour of one of the great poets writing in English over the last few decades, Seamus Heaney (1939-2013), who was awarded the Nobel Prize for Literature in 1995. Some of his poems reflect the troubled recent history of Northern Ireland, others show a fine feeling for nature and a deep spiritual sense. Ireland has produced some of the finest playwrights writing in English over the last few decades. In 2009, the country issued a set featuring free of them, SG 1979-1981. Here is Brian Friel (born in 1929). Among his plays are Philadelphia, Here I come (made into a film in 1975) and Dancing at Lughnasa (turned into a film starring Mery Streep in 1998). Some of his plays treat political themes and the Troubles of Northern Ireland, others focus more on family relationships. From the 2009 Irish set of playwrights, a stamp showing Frank McGuinness (born in 1953). He came to prominence with a play about WW1, Observe the Sons of Ulster Marching Towards the Somme. He has also written poetry, and translated a large number of great plays written in other languages. The third stamp from the 2009 Irish set of playwrights features Tom Murphy (born in 1935). Some of his plays have attracted considerable controversy, treating difficult subjects. They include a historical epic about the Irish potato famine. This year Ireland issued a stamp to mark the 50th anniversary of the death of the writer Brendan Behan (1923-1964), who wrote plays, novels and fiction. He wrote in both Irish Gaelic and English. His best known work outside Ireland is probably the autobiographical novel Borstal Boy, inspired by his experiences when he was sent to a Borstal (a reformatory for delinquent children) at the age of 16 after he had joined the IRA and attempted to cause an explosion in Liverpool docks. 1990 was the 150th anniversary of the novelist and poet Thomas Hardy (1840-1928), probably best know for Tess of the d'Urbervilles and Far from the Madding Crowd. Here is a GB stamp to mark the occasion. SG 1506. 2008 was the 100th anniversary of the birth of Cesare Pavese (1908-1950), one of the major 20th century Italian novelists and poets. Here is a stamp commemorating him - Italy 2008 SG 3167. The great 18th century writer and philosopher Voltaire, probably best know for Candide, was born in 1694. The Czech Republic commemorated the tercentenary with a 1994 stamp, SG 39. Many of us will have read, or seen films of, some of the novels of Jules Verne (1828-1905), author of adventure and science fiction stories. 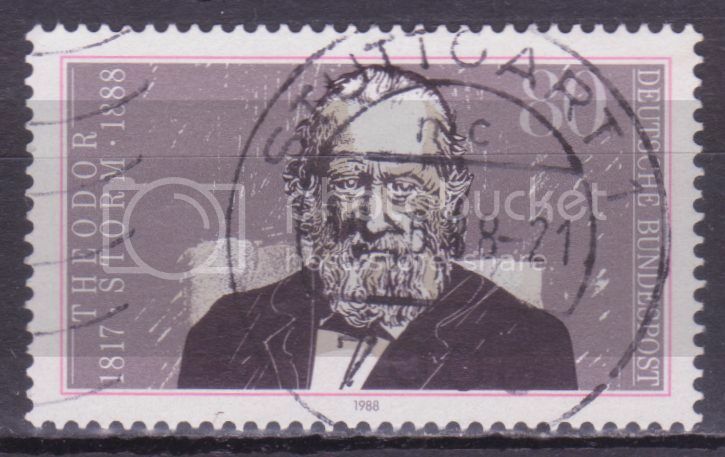 In 1966 Panama issued a set of Jules Verne stamps and one of them is below. 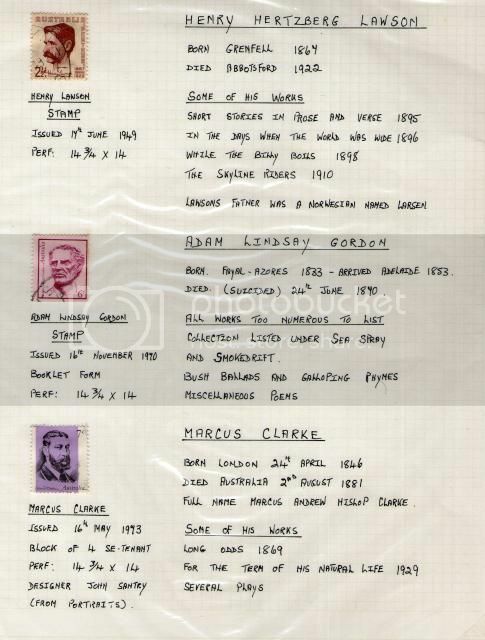 Stanley Gibbons do not list Panama stamps after about 1965, as they regard them as insufficiently used postally to count as "real stamps". T S Eliot (1888-1965), who was born in the USA but spent most of his adult life in England, was one of the most influential poets of the 20th century. His The Waste Land conveyed well the feeling of loss and desolation which many people had after WW1; other poems, including the Four Quartets, are among the most profound religious poems written in English over the last 100 years. He also wrote several plays, including Murder in the Cathedral, about the martyrdom of Thomas a Becket, and some important literary criticism. In 1948 he received the Nobel prize for literature. Here he is on a US stamp of 1986, SG 2233. The German author Theodor Storm (1817-1888) is most remembered now for his realistic fiction, though he also wrote novels. In 1988 West Germany issued a stamp for the centenary of his death, SG 2245. Friedrich Schiller (1759-1805) was one of the great figures of German literature. A friend of Goethe, he wrote plays, poetry and philosophy (his philosophy influenced the English poet Coleridge). In 1959 Hungary issued a set of 3 stamps for the bicentenary of his birth, one of them showing his portrait - SG 1604. 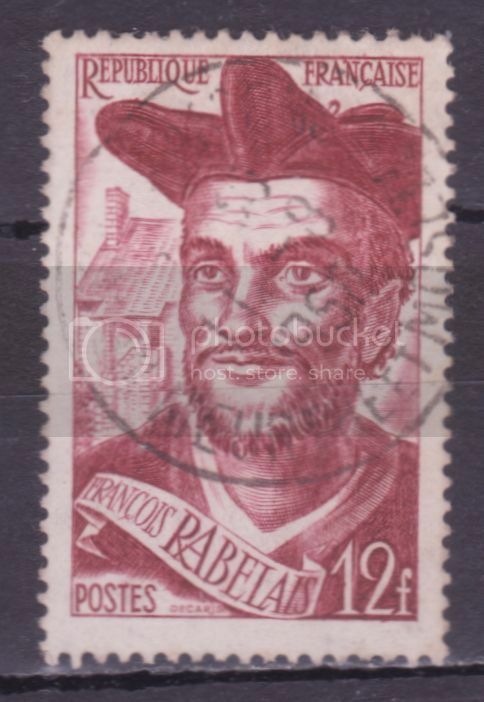 Rabelais (1483-1553) was a major French writer known especially for Gargantua and Pantagruel, the long, irreverent, frequently comic, sometimes bawdy story of the adventures of two giants and their friends. The first part features among other things an abbey with a swimming pool and good hotel service. Rabelais took an immense delight in playing with language. Here he is on a French stamp of 1950, SG 1094. Pablo Neruda (1904-1973) was a Chilean poet and diplomat who won the Nobel prize for literature in 1971. A communist, he was forced to spend part of his life in exile - including on the Italian island of Capri, this period in his life being the subject of the film Il Postino. He wrote a huge volume of poetry, which included passionate love poems, a sequence about the Inca site Macchu Picchu, and poems inspired by ordinary objects like vegetables. 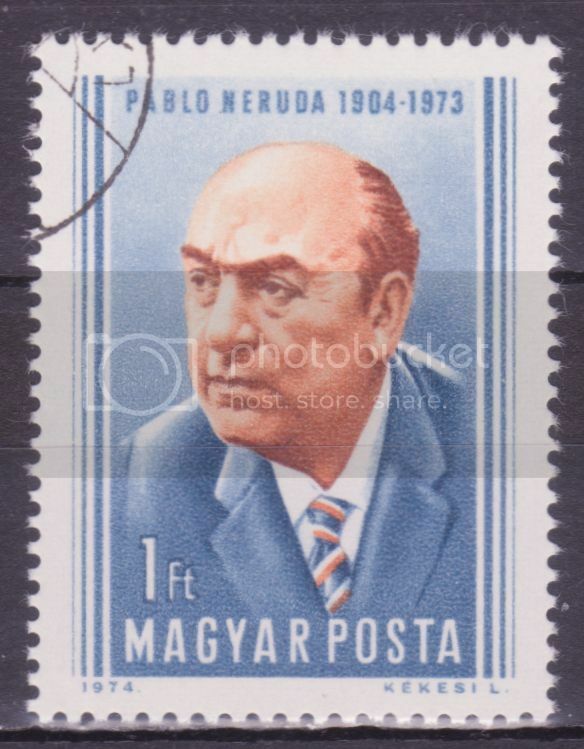 Here he is on a Hungarian stamp issued in 1974, SG 2907.